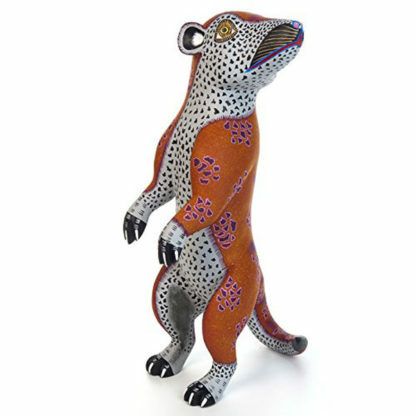 Meerkat alebrije wood carving by Susano Morales & family. Height/Length/Width: 15″ x 8″ x 6.5″ Features: Copal wood Hand-crafted item Signed by the artist Origin: Oaxaca, Mexico Your order will be shipped within 1 business day after your purchase. All orders are packed professionally and include insurance. In the event your order arrives damaged you will be refunded 100% of the purchase price. Please contact us if you have any questions or special requests.